No Will? Think again whether you should have one. 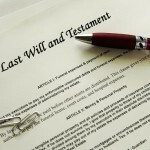 Do you have a Will? If not, we tell you why you need one!